Hot Springs, NC, has been an oasis for relaxation and healing for centuries. The World Famous Natural Hot Mineral waters of Hot Springs bridge the gap between historical tourist destination and modern need for escape from the daily grind. 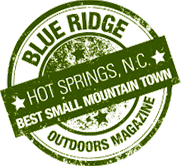 Recently voted the Best Small Mountain Town from Georgia to West Virginia by readers of Blue Ridge Outdoors Magazine. Hot Springs is only 40 minutes North of Asheville, NC. The town of Hot Springs is nestled in between the French Broad River, the world’s third oldest river, Spring Creek, and the Appalachian Trail. Hot Springs is truly one of the jewels of the Blue Ridge Mountains. Madison County and Hot Springs, NC share a culture rich in art, music, and food. Hot Springs, NC offers a wide variety of fun. 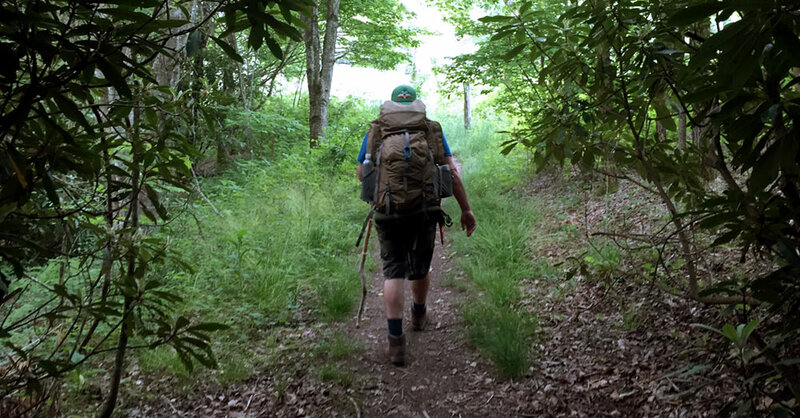 Outdoor recreation is abundant in town, with the main street of Hot Springs being the Appalachian Trail, we are a town that loves to play outside. 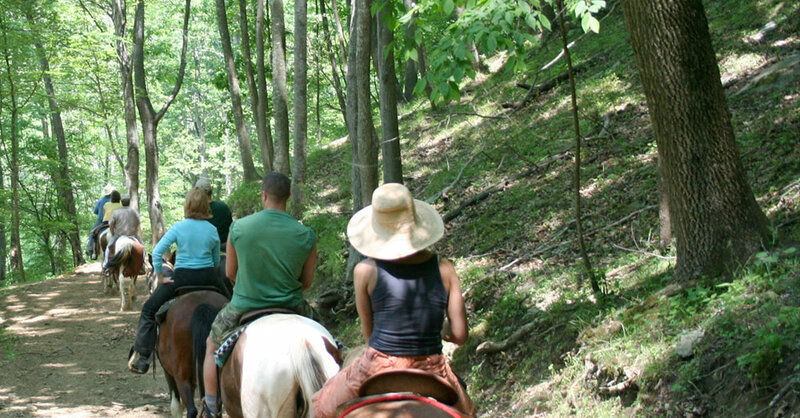 A host of enjoyment can be found hiking, biking, horseback riding, and whitewater rafting. The French Broad River flows for just over 100 miles in the state of North Carolina. The French Broad is free flowing which means that the water level is determined by the amount of rainfall in the watershed. 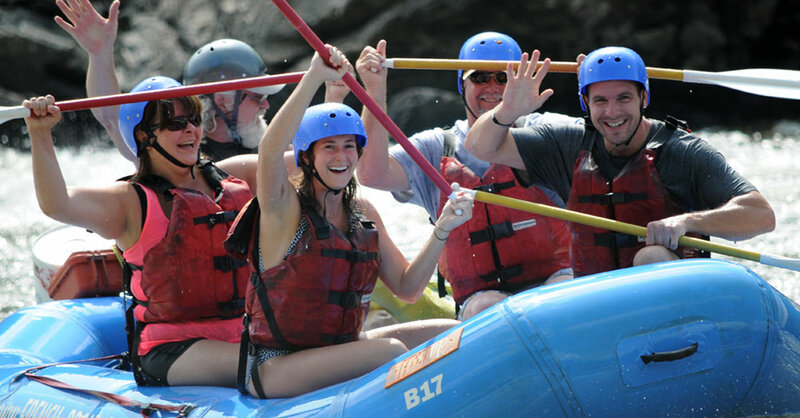 For all sections, but particularly the whitewater section the character of the river changes considerably depending on the water level. 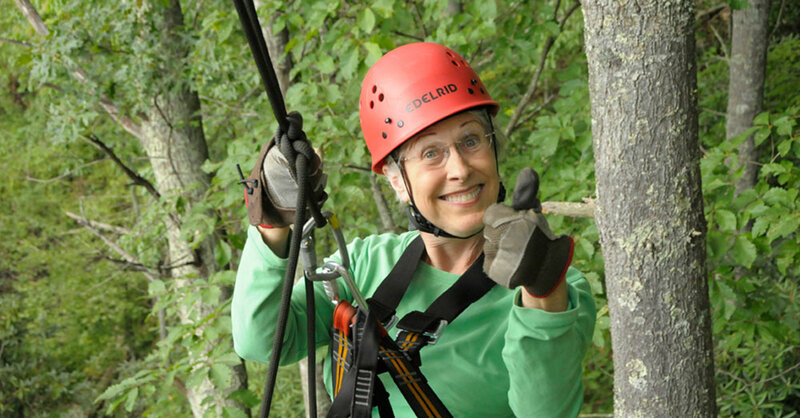 Ziplining is the perfect activity to experience the beauty of the Blue Ridge Mountains with your friends and family. Our ten-line zipline canopy tour takes you through a forest of native trees and plants, and offers picturesque mountain views. We cater to First Time Riders, Families & Children, even the “Disabled”! The Little Pine Garnet Mine Cave -our most popular ride & was once owned by Tiffany & Company!